The renowned Top 25 series is back with an instrumental listening complement to the label's epic annual collection, introducing Top 25 Praise Songs Instrumental 2014 Edition. The new release showcases full orchestral instrumental versions of the top worship songs being sung in churches across America in 2014, as determined by CCLI (Christian Copyright Licensing International). The Top 25 series has sold nearly two million copies and has become an enduring, timeless brand. 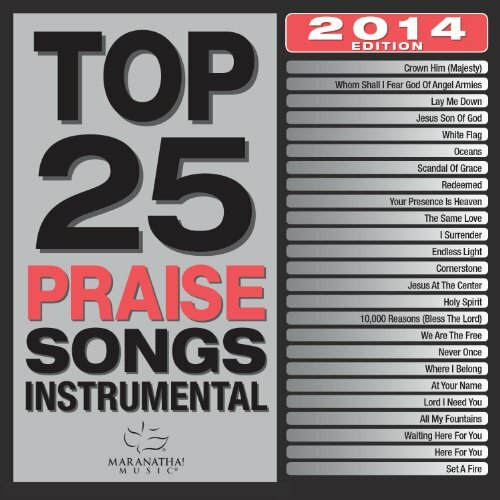 Count on the most popular worship songs of the year on Top 25 Praise Songs Instrumental 2014 Edition!